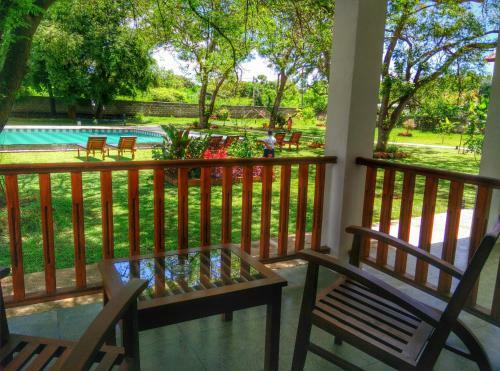 Offering an outdoor swimming pool, Blue Turtle Hotel is located just 2.2 km from the Tissamaharama Bus Station and 2.9 from the famous Wirawila Tissa Sanctuary. Free WiFi access is available in the public areas of the property. Each air-conditioned room here will provide you with patio. 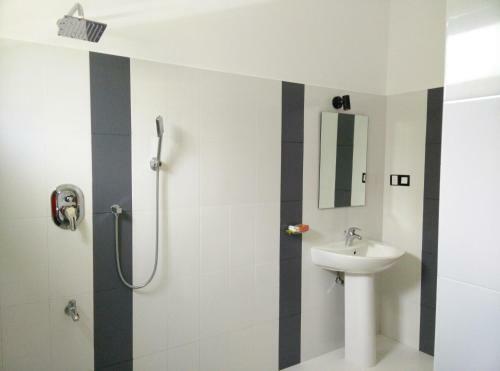 Featuring a shower, private bathroom comes with a bidet. You can enjoy pool and garden view from the room. At Blue Turtle Hotel you will find a hot tub, a 24-hour front desk and a garden. Other facilities offered at the property include meeting facilities, a tour desk and a children's playground. The property offers free parking. The Mattala Rajapaksa International Airport is 19 km while the Bandaranaike International Airport is 228 km away. The guests can enjoy their meals at the in-house restaurant and refreshing alcoholic and non-alcoholic beverages at the bar. Room service is available.